Home » Starting BJJ » Should I train gi or no-gi? Should I train gi or no-gi? If you can do both, I always recommend doing gi and no-gi. Grappling is grappling, training is training, all experience is good. I have trained gi and no-gi ever since I started BJJ, and I refuse to get into debates over which is better since I love both. They are different breeds of the same animal. If you enjoy one more than the other, then do that one. But don’t count out the other kind even if you don’t like it at first. Wrestlers are especially guilty of this when first starting BJJ in the gi. If you don’t really like one, but that’s all they teach at the best school in your area, then go there and do it anyway. If you are getting ready for tournament that is only gi or no-gi, then do that one more. If you are training for MMA, then make sure you do a lot of no-gi, but gi will help too. If your main concern if self defense, do both! You don’t know what you or your attacker will be wearing. It could be winter jackets in the snow or swim trunks at the beach. Gi will teach you lessons about defense, posture and control that the grips and friction emphasize. No-gi will teach you lessons about speed, pressure and movement that gi sometimes lacks. You will get wildly different answers to this questions depending on who you ask. 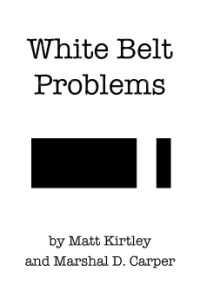 Most black belt instructors will encourage you to train both, perhaps with a slight emphasis on training in the gi. For most instructors, the gi is more than just a traditional uniform. It is a training tool that helps you perfect your balance, your defense, and your awareness. Since your opponent can use your entire uniform against you, your technique and your posture needs to be sharp or else. If you plan to train jiu-jitsu for any length of time, training in the gi will give you access to more classes, more seminars, more training partners, and more matches. If you train no-gi exclusively, and there is not necessarily anything wrong with that, you will miss out on a lot of learning opportunities by default. Also, training in the gi is usually mandatory for earning rank, so if that’s important to you, consider that as well. My suggestion: train both, but ultimately, do what you enjoy most. For me, I’m happy as long as I’m grappling. Gi, no-gi, it doesn’t matter.